Hege, Christian and Christian Neff. ''Mennonitisches Lexikon'', 4 vols. Frankfurt &amp; Weierhof: Hege; Karlsruhe: Schneider, 1913-1967: v. II, 469. Bender, Harold S. "Catabaptist." Global Anabaptist Mennonite Encyclopedia Online. 1953. Web. 26 Apr 2019. http://gameo.org/index.php?title=Catabaptist&oldid=145157. Bender, Harold S. (1953). 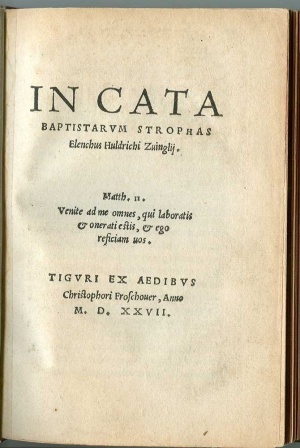 Catabaptist. Global Anabaptist Mennonite Encyclopedia Online. Retrieved 26 April 2019, from http://gameo.org/index.php?title=Catabaptist&oldid=145157.